Welcome to Whistler and your "home away from home". Our private modern complex is fully equipped to make your stay as comfortable as possible. We have fully renovated our home to include heated slate flooring in bathrooms and kitchen, granite work tops, new carpets, stainless steel appliances, 2 x LCD TV and DVD player, FREE WIFI plus lots of other touches that ensure you enjoy a luxurious vacation in your home from home. Our home is a spacious two level townhouse. The main level has a bathroom with shower, laundry area, kitchen, living room with queen sofa bed, dining room and a private deck. Two bedrooms and another bathroom (which includes a spa bath!) are located on the second level. The master bedroom has a queen bed and the second bedroom has two twin beds. We also have a south-facing private deck with impressive mountain views. Your ‘home away from home’ is fully-equipped, professionally decorated and very comfortable. Slate tile fireplace, iPod docking station, TV, DVD, books, and games all provide a place to relax after a days adventure in Whistler. The complex includes a large heated pool and hot tub. Our home has a fantastic location and is easy to find. Away from the noise of the Village but just a short walk to the shops, restaurants and lifts. To save your legs for skiing just hop on the free shuttle bus that stops over the road. Located in the northern part of the Whistler village. Close to an IGA and starbucks. 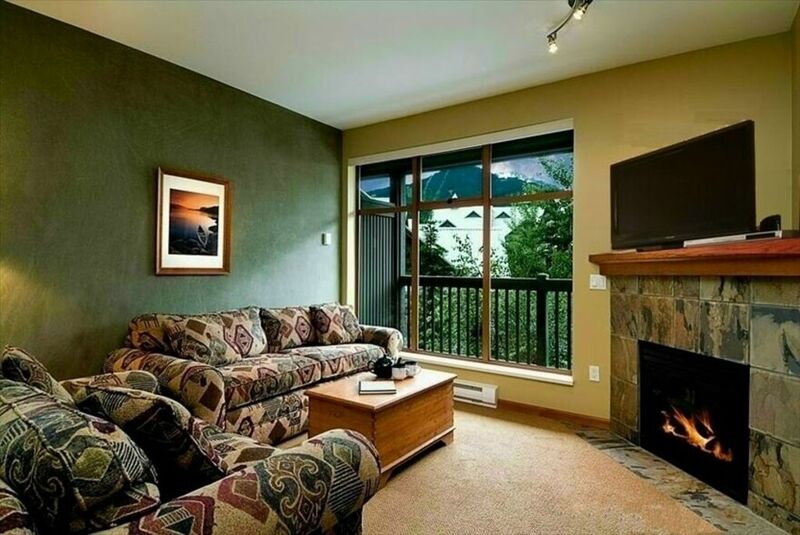 We had a fabulous week in Whistler, and the location of the condo made it even better. Right across from the IGA Grocery store and the bus stop made a huge difference. I would stay here again if we were lucky enough to return one day. The condo was fully equipped with all that we needed and the communication was perfect. Thank you!